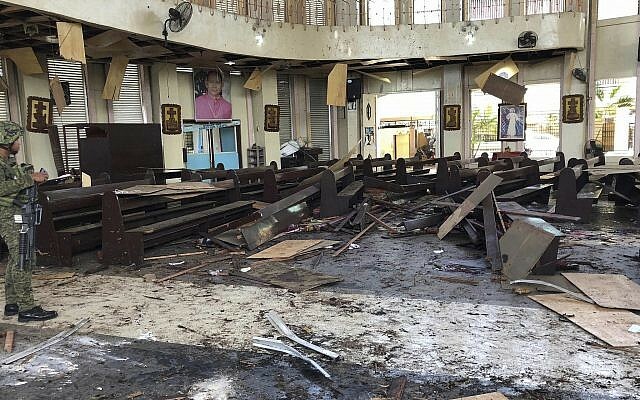 JOLO, Philippines — Two bombs minutes apart tore through a Roman Catholic cathedral on a southern Philippine island where Muslim jihadists are active, killing at least 20 people and wounding 81 during a Sunday Mass, officials said. Jolo island has long been troubled by the presence of Abu Sayyaf militants, who are blacklisted by the United States and the Philippines as a terrorist organization because of years of bombings, kidnappings and beheadings. A Catholic bishop, Benjamin de Jesus, was gunned down by suspected terrorists outside the cathedral in 1997. Western governments have welcomed the autonomy pact. They worry that small numbers of Islamic State-linked jihadists from the Middle East and Southeast Asia could forge an alliance with Filipino insurgents and turn the south into a breeding ground for extremists. 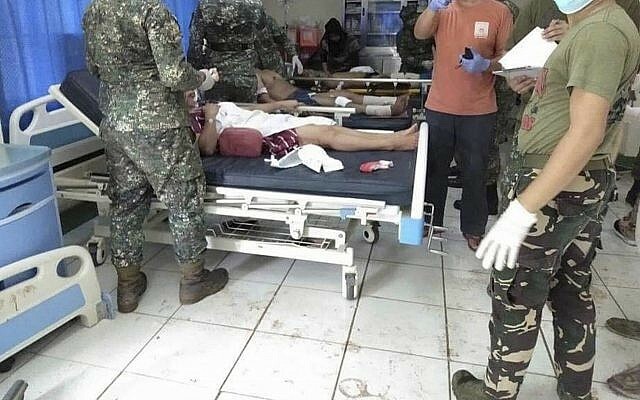 Aside from the small but brutal Abu Sayyaf group, other terror groups in Sulu include a small band of young jihadis aligned with the Islamic State group, which has also carried out assaults, including ransom kidnappings and beheadings. Government forces have pressed on sporadic offensives to crush the terrorists, including those in Jolo, a poverty-wracked island of more than 700,000 people. A few thousand Catholics live mostly in the capital of Jolo. 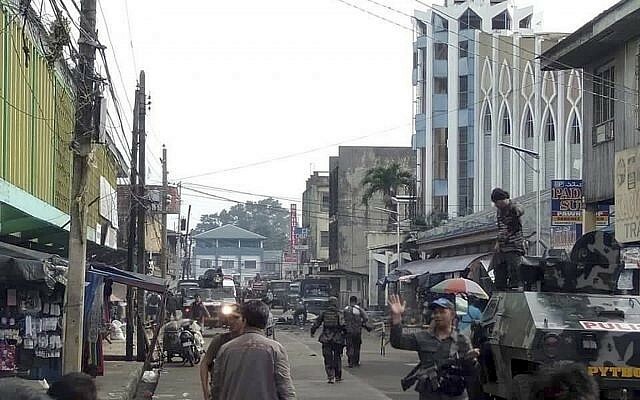 There have been speculations that the bombings may be a diversionary move by Islamist militants after troops recently carried out an offensive that killed a number of IS-linked extremists in an encampment in the hinterlands of Lanao del Sur province, also in the south. The area is near Marawi, a Muslim city that was besieged for five months by hundreds of IS-aligned terrorists, including foreign fighters, in 2017. Troops quelled the insurrection, which left more 1,100 mostly militants dead and the heartland of the mosque-studded city in ruins. 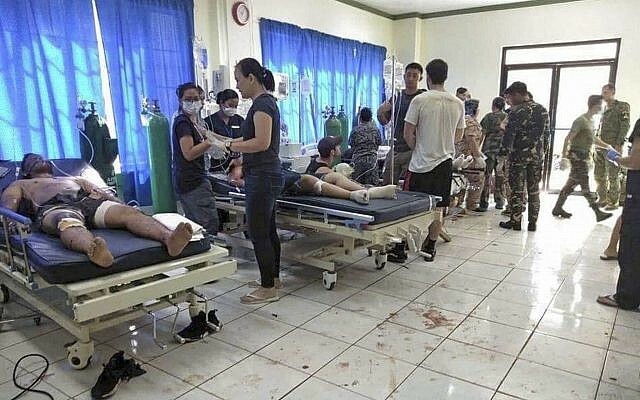 This entry was posted in Asia, Country, Disaster / Emergency, Islam, Persecution, Violence - Evil, World and tagged 20 dead 81 wounded in church bombing in the Philippines January 27 2019, Christian persecution, Roman Catholic cathedral on a southern Philippine island bombed by Islamic terrorists by Gordon King. Bookmark the permalink.